Oral Language Program: An absurdity is a thing that is unreasonable or impossible. An absurdity could also be considered something that is foolish or not to be taken seriously. This oral language program is designed for children to recognize absurdities and to comment on the thing that is unreasonable or impossible. The scenarios featured in this program introduce strange or odd situations that do not exist in the real world. The child’s task is to first recognize the absurdity and then comment on what is wrong about the scenario. Each scenario comes with prompts which can be used to further explore the impossible situation. 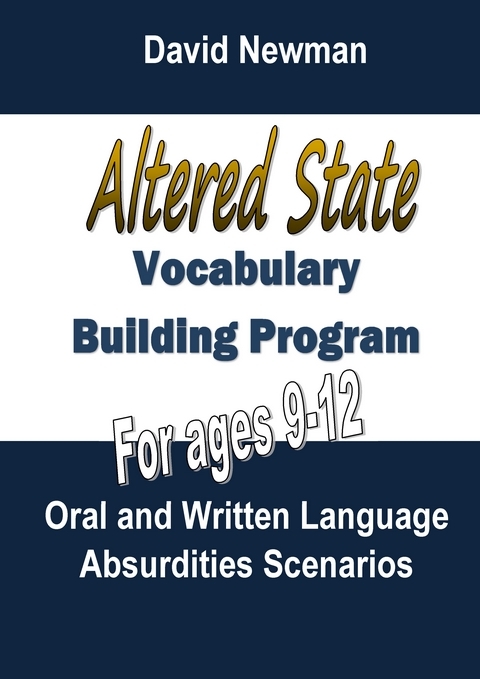 The Altered State scenarios are at core oral language prompts that target semantic world knowledge and are designed to increase students’ vocabulary. Other key language skills such as listening to instructions, understanding inference, higher order thinking skills and expressive language skills can also be targeted for intervention. The attached worksheets come complete with example sheets which have been provided to explore many of the tier 2 words and the rich vocabulary, that is a feature of each scenario, in more detail. In the Altered State scenarios context, tier one words would be simple words that are related to the functions of the scenario. 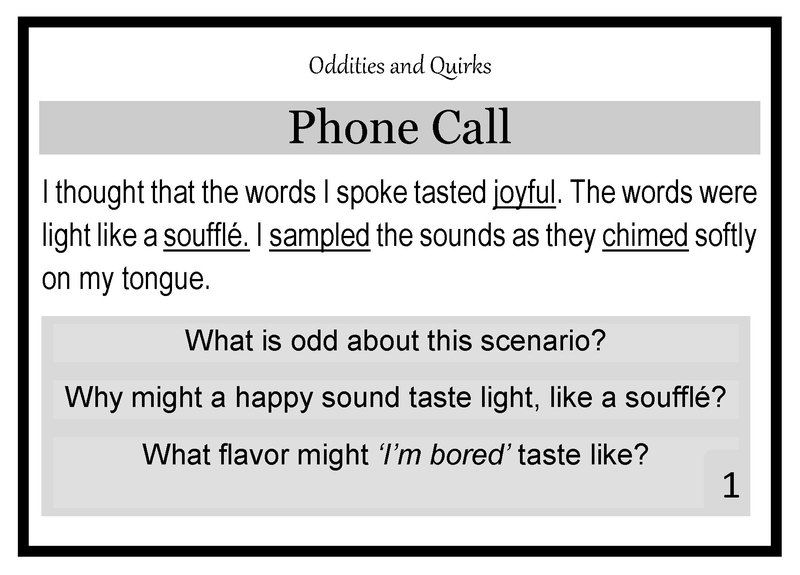 For instance, in the phone call scenario soft, lightly, spoke are all common and familiar words and thus are considered tier one words. In contrast, tier two words are really the sweet spot in terms of teaching vocabulary to school-age students. Tier two words are words that are complex but have a high utility in that they are words that can be used in multiple contexts. Tier two words are not used frequently in conversation but will be used frequently in written text, so it is important to learn them. Studies indicate that the learning of tier two words can have a strong effect on students’ verbal expression and written comprehension abilities. The oddities and quirks program uses a number of tier two words. Four words in each scenario have been underlined and are words that can be explored by discussing their meaning and using a dictionary and thesaurus to study their significance while using the vocabulary map to link it to synonyms of that word. The program is best used with students aged 9-12 years of age. Note that 4 tier two words have been underlined. These are high utility words that warrant further study and exploration by students. The scenarios are represented under two broad categories: altered sense and altered reality. Both sets of scenarios present students with absurd impossibilities and challenge them to confront an odd but somehow still familiar world. The attached real world and real sense worksheets both come complete with example sheets that demonstrate how to fill in the charts. Discuss the role our senses play in our interaction with the world.